Mbappe, 19, who also scored in the 4-2 win, was sent off for pushing over Teji Savanier after the Nimes player [email protected] him to the ground. Following the ban, the reigning French champions will be without Mbappe for Ligue 1 games against Saint-Etienne on September 14, Rennes on September 23 and Reims three days later. But the ban does not affect Mbappe’s participation in PSG’s mouthwatering Champions League opener against last season’s runners-up Liverpool at Anfield on Tuesday, September 18. 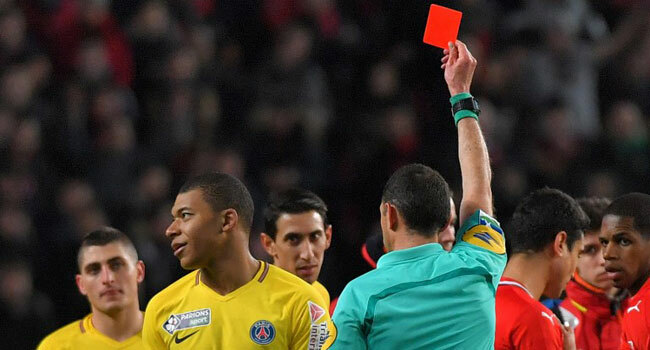 It is the second red card of Mbappe’s young and sensational career after he was sent off in January for a bad foul on Rennes’ Ismaila Sarr during a French League Cup semi-final. The World Cup winning youngster is currently with the France squad preparing for Thursday’s UEFA Nations League opener against Germany in Munich, he was not present at Wednesday’s disciplinary hearing.